Feel Wealthy when you wear this. 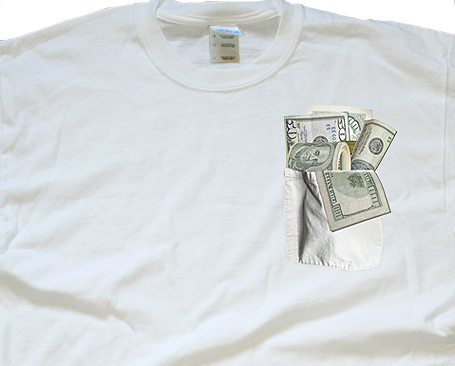 The pocket and the money are printed. The money is the actual size of real money.